Introducing a new edition of the popular text for medical students, residents, and practitioners on interpreting electrocardiograms in children. Pediatric cardiologists Dr. Myung Park and Dr. Warren Guntheroth teach the vectorial approach to pediatric ECG interpretation in a simple and practical way. 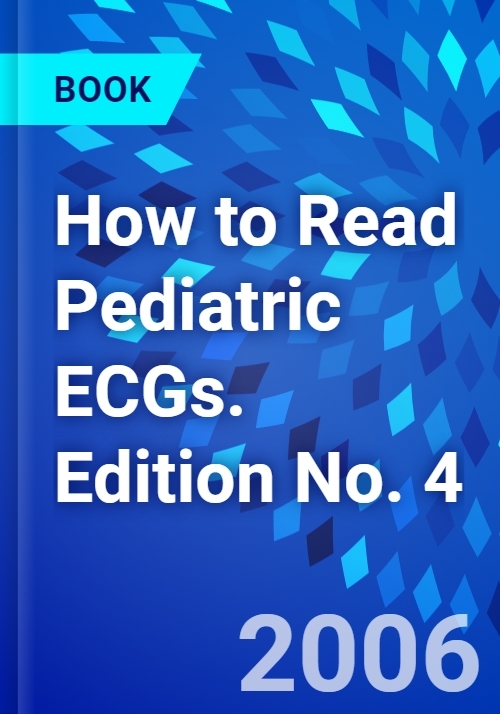 How to Read Pediatric ECGs contains over 200 actual size ECG tracings, review questions, case studies for board review. Park, Myung K. Professor Emeritus (Pediatrics), Former Director of Pediatric Cardiology, Former Director of Preventative Cardiology and Weight Management Clinics, University of Texas Health Science Center, San Antonio, Texas.